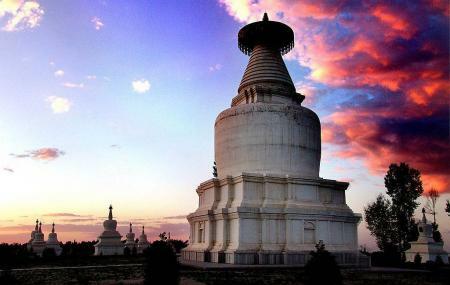 White Dagoba Temple (Baita Temple) is also known as Miaoying Temple and is located in the West District of the city. It is one of the two famed white dagobas in Beijing and the other one stands in Beihai Park. The temple comes highly recommended by traveller and locals alike because of its epic architecture and scintillating design. The temple has a lot of history related to it that adds to the charm of the whole place. Also, visit the popular attractions in the city by following Beijing itinerary 7 days. The first 200 visitors are free of charge on Wednesday. Take a subway from Fuchengmen. How popular is Baita Temple? People normally club together Da Dong Roast Duck Restaurant and Cuandixia while planning their visit to Baita Temple.